Ok, he ate a taco Satan gave him and survived to sing a song about it. If that isn’t enough he also doesn’t mind to be exposed to some gamma radiation. Nevertheless most of us simply known him to be a suicidal loser who is the proud owner of two turntables and a microphone. Naturally this is a highly subjective manner the sum up Beck’s music. But now that I have your attention, let talk about his new album, Morning Phase, which will experience its worldwide release in the coming days. Multi-instrumentalist and singer-songwriter Bek David Campbell is active for more than twenty years now and has always been regarded to be an unique talent who is able to collage a variety of musical styles into a fresh contrapuntal whole. In this process he never shuns the experiment; drum machines, electronic effects, sharp lyrics and so on, all are a frequent part of his creative rationale. Roughly spoken, Beck’s music has two sides, one of high hit potentials (e.g. Odelay, 1996 and Modern Guilt, 2008) and one of deep earnestness (e.g. Mutations, 1988 and Sea Change, 2002). Apart from the interesting sheet music project, Song Reader (2012), it has been relatively quiet for some time now. A back injury withheld him from playing guitar and creatively he wasn’t all that happy as well. According to the singer Modern Guilt’s recording process was a burden: “[it felt like] doing it with both hands tied behind your back. It hurt to sing. I’m whispering through half of those vocals”. Hence, six years later Beck aims to resurrect himself by releasing two albums in one year. First up is Morning Phase, whilst a second release still awaits to be dated. Taking the above quote into account, it’s no shock Beck turns away from the droning, spacey and predominantly catchy Modern Guilt. Instead Morning Phase is a downtempo journey towards a deep self-reflection like we heard before on Sea Change. This resemblance is evident for Beck hooked up with the same group of artists with who he created the acclaimed Sea Change more than a decade ago. Among them are Keyboardist Robert Joseph Manning, Jr, guitarist Jason Falkner (i.e. Jellyfish, Air) and drummer Joey Waronker (i.e. R.E.M, Atoms For Peace). The Sea Change comparison is however too simplistic, mostly because it was recorded during the aftermath of Beck’s heartbreaking parting with his girlfriend. Obviously, time’s a healer and Beck is healed in such a manner he musically takes it to the level of emotionally accepting life’s ups and downs. On Morning Phase he addresses some dark themes. Farewells, isolation and redemption all have a place on the album. Beck manages to let some light through this darkness by leaving a dosed space within the lyrics, which disconnects the contents from being a singular affair. For instance on ‘Say Goodbye’, he contemplatively sings: “See the sleep that rests upon. The quiet street we’re standing on. Is it time to go away? Try again some other day? These are the words we use to say goodbye”. Together with some clear acoustic guitar play, a banjo on the background and well timed vocal support this track truly captures the meaning of acceptingly breaking up a longterm relationship. Isolation comes forth in the floaty ‘Wave’ and the still ‘Turn Away’, on these tracks Beck seems to sing to us from a warm and self-contained vacuum. Peace with the past is also found, especially on the albums nicely orchestrated closer, ‘Wakin Light’ on which Beck soothingly sings: “Waking light, it grew from the shadow. Brace yourself to the morning low. Night is gone, long way turning. You’ve waited long enough to know”. Structurally all tracks are small meditations that stylistically taps into bare, bleak yet also warm 1970s folk scene. Skillfully acoustic guitars, autoharps, keys, strings and synths are interspersed. Ultimately this leads to a soft, open and therefore accessible sound. Morning Phase does contain a small flaw which comes with the first opening tracks. ‘Morning’ and ‘Heart Is a Drum’ are fairly dull starters. I had to push myself to listen ahead, which I did not regret in the end. 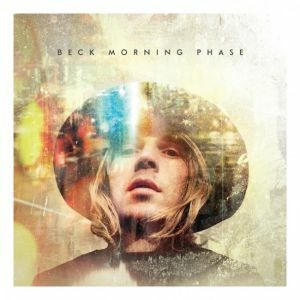 Currently Morning Phase is widely hyped in the media which is understandable given Beck’s long time involvement in the music industry. Wait! Don’t go of running to your local recordstore (or digital distributor) for a quick buy just yet. First let me put some things in perspective. If you were a teenager in the 1990s Beck probably belongs to your heritage. And if you want to hold on to the fleet-footedness of the nineties but do want to hear some newer work, it’s a better to leave Morning Phase for what it is. In this case you would be better of with Modern Guilt and, the underrated, The Information (2006). Beck clearly moves on, and if you’ve done the same you can’t go wrong with this sophisticated introspective journey. Morning Phase was pegged to match the heartbrokenness of Sea Change, and indeed similarities are easy to be found. Morning Phase is no sequel though. In terms of the Kübler-Ross model Beck is way beyond DABD stages and settles himself in acceptance, although I must admit the line between peacefulness and depression is sometimes vulnerably thin. This entry was posted in WRM and tagged Air, Atoms For Peace, Beck, Bek David Campbell, Capitol, cd, Downtempo, folk, Fonograf, Jason Falkner, Jellyfish, Joey Waronker, Kübler-Ross model, Modern Guilt, Morning Phase, Mutations, Odelay, R.E.M, review, Robert Joseph Manning Jr., Satan, Sea Change, Song Reader, The Information. Bookmark the permalink.